The race is on! Thanksgiving is done (for those of you who just celebrated it) and it’s a mad dash to the finish line for the winter holidays. However, I’d like to take this moment to slow down and marvel at what I enjoyed over Thanksgiving, like this awesome pumpkin pie. 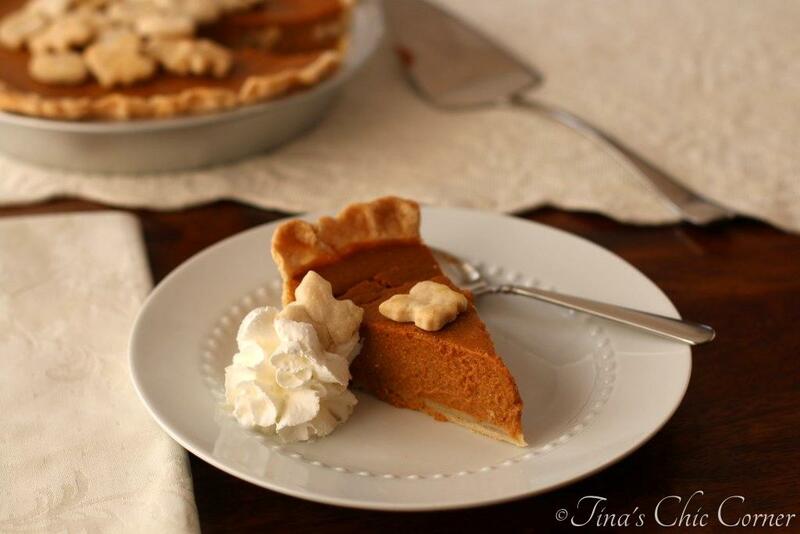 This pie is a classic pumpkin pie at its finest with all its glorious spices. Whisk together the flour, sugar, salt, ginger, allspice, nutmeg, and cinnamon. Mix in the eggs, pumpkin puree, and evaporated milk. Line a 10 inch round baking pan with one uncooked pie crust. Pour the pumpkin mixture into the crust. Cover the outer edge of the pie crust with a pie crust protector or tin foil. 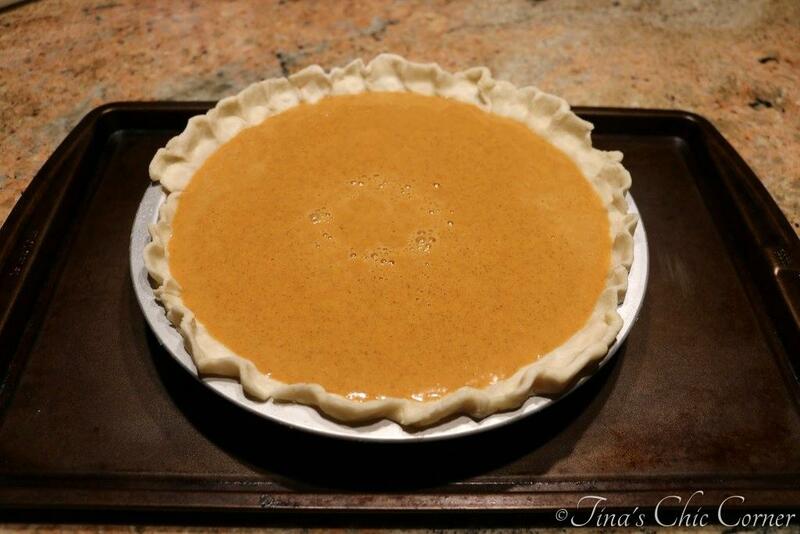 Place the pie on a baking sheet on the lower shelf of the preheated oven and bake it for 10 minutes. Lower the temperature of the oven to 350 degrees F and bake it for an additional 50 minutes or until a butter knife inserted in the middle comes out clean. Let the pie cool for at least 1 hour before serving. Cover with tin foil or plastic wrap and store in the refrigerator. 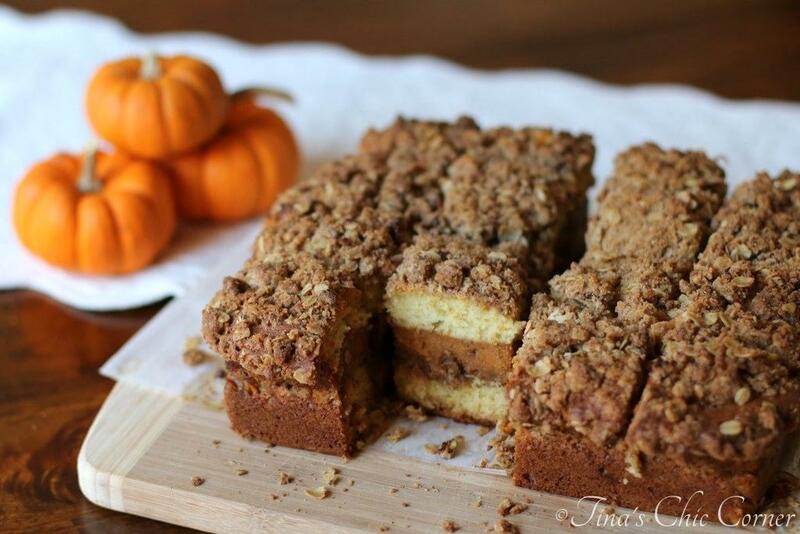 Baking tip: The seasoning in the pumpkin mixture may have a tendency to settle. If it’s been sitting in the bowl while you prepare the crust, give it another stir to make sure all the ingredients are evenly distributed. 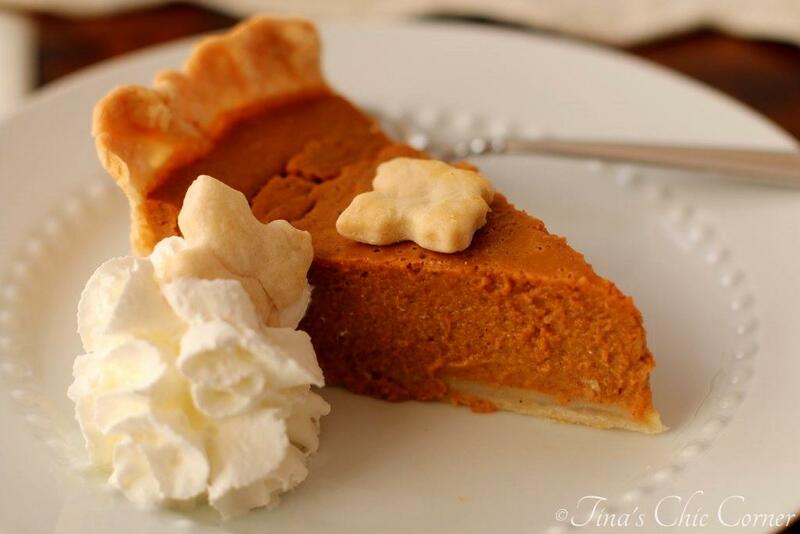 I think the combination of spices can make or break a pumpkin pie. Bland pies are just…bland and boring. Cinnamon alone is not enough. 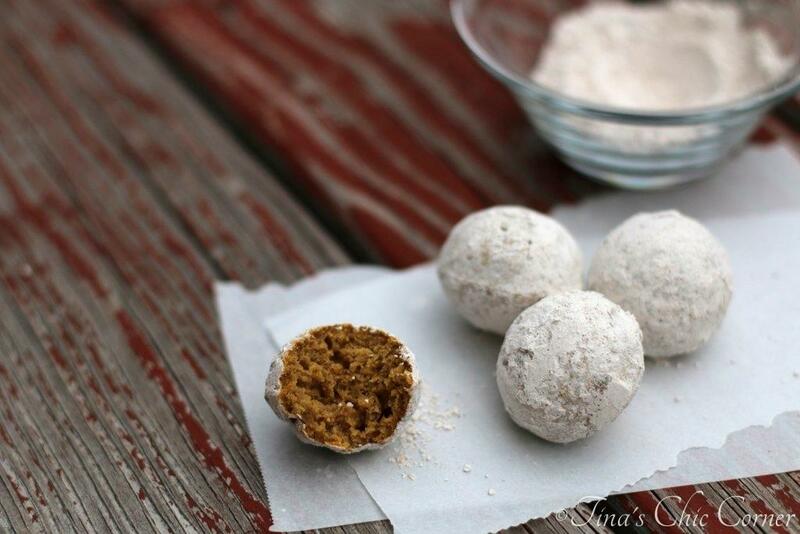 Ginger and nutmeg are strong flavors so you don’t want too much of those, but they can’t be missing either. The ratio of spices here is shear perfection and I believe that is the key to what makes this recipe out of this world! Paired with the flaky crust, it’s honestly the best pumpkin pie I’ve ever had (and I’ve had plenty over the years). I arranged some decorative leaves on top, using a portion of my homemade pie crust recipe (See also my Blueberry Pie post for further instructions on how to make decorative pie crust pieces). I wanted the pie extra pretty for the dessert table (not to mention that it this just means that there is more flaky pie crust to enjoy in each bite). The little pieces of crust tend to make cutting the pie a bit trickier, but you can move them and then dish them out like treats. My husband was very happy that I needed to cut a piece for the photo shoot because he was the first to sample it before the family gathering. Hubby and I were just reflecting last night and neither of us had pumpkin pie. I don’t believe I can’t let the year end without some pumpkin pie. I better whip one up soon. Looks fantastic! Looks great. Love pumpkin this time of year. Ya know, I never make a regular pumpkin pie (or any pie) on Thanksgiving, and I have no idea why because I really really love it. This looks so delicious, and I am regretting my pieless turkey day already! Oh no! Make up for it at the next holiday affair. 🙂 My husband and I like pie more than cake so there’s never a question that it’s a must at our dessert table. What a perfect looking pie!!! You’re so sweet. 🙂 Thank you. Pumpkin pie is something I can never get enough! Yum! What a lovely pie Tina! Looks perfect! I hope you had wonderful Thanksgiving. Have a great week my friend! Thanks Anne! Thanksgiving was lovely…lots of good food and time with family. I took a few days off from blogging and day job and it was rest much needed. 🙂 I hope you had a great Thanksgiving too. 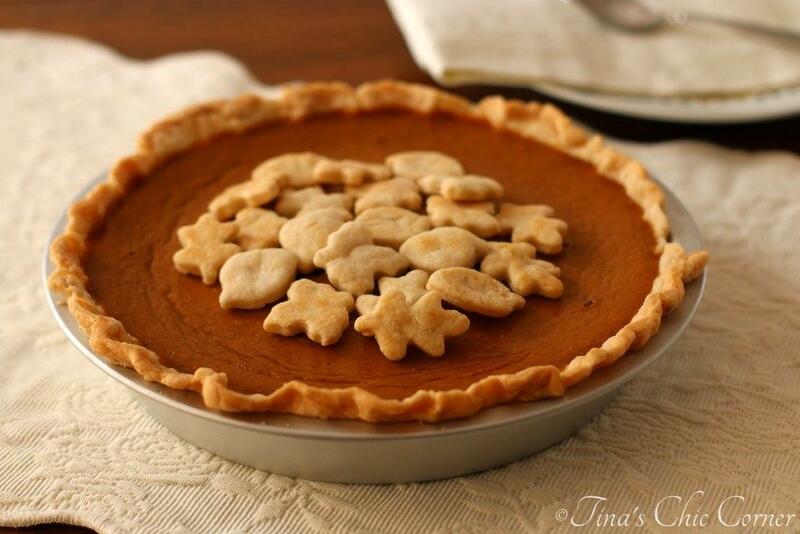 Love traditional pumpkin pie too and yours looks so pretty with the little leaves! It sounds wonderful with all the right amount of spices. 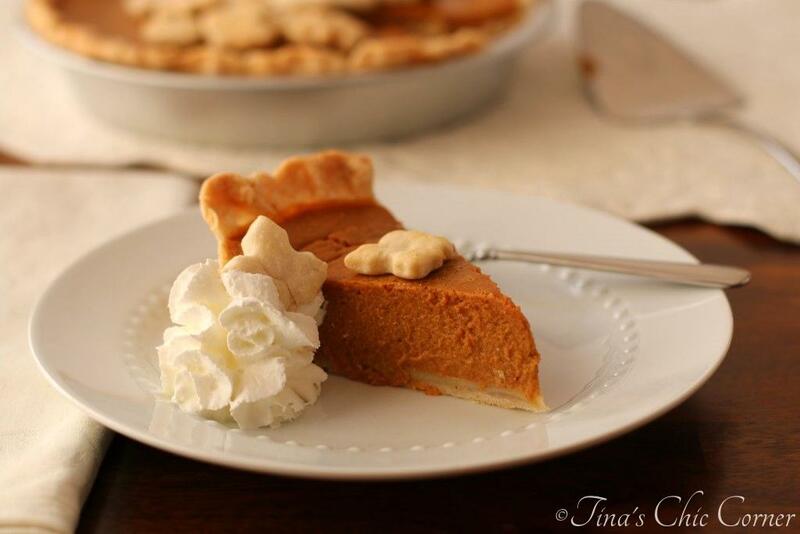 Hehe, we enjoy eating pumpkin pie right out of the fridge too 🙂 Great recipe Tina and hope you have a fantastic week! This pie looks amazing! I think pumpkin pie might just be one of my favorite kind of pies. 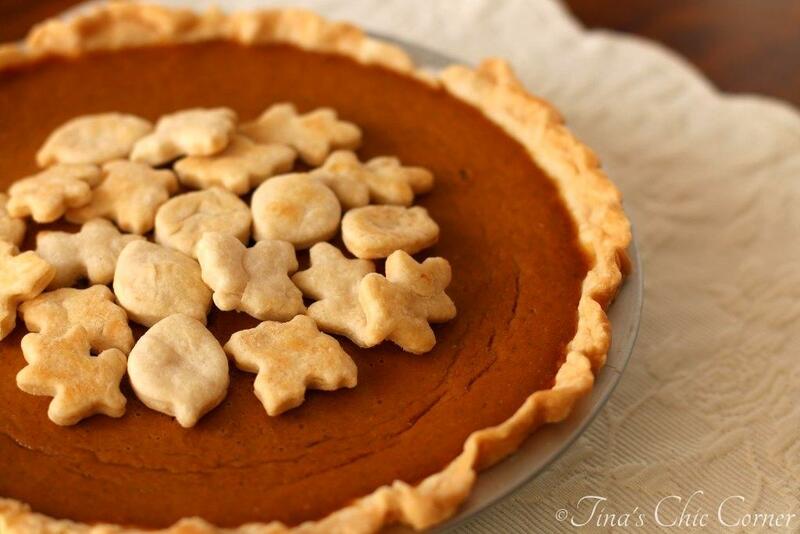 The small pieces of crust on top of the pie make the pie look super cute! I made my first pumpkin pie this year! But yours is so much cuter with the little crust cut outs in the middle. I love that. More crust is always better. That would have worked great for me since my pie got a little crack down the center, whoops! That’s awesome you made it for the first time! Like my husband says…the stomach doesn’t care about what it looks like. 😉 My pumpkin pies sometimes crack in the middle too. I read online that it’s either because it’s over baked or it cooled down too quickly. I’ve never over baked it, so I’ll have to work on techniques to make sure it doesn’t cool too fast. If you learn anything let me know!